For me, financial planning means more than providing my clients with investment advice. It means helping them maintain the financial independence they’ve worked their whole lives to achieve. It means striving to ensure they have the means to pursue what’s most important to them. And it means understanding them as people with unique goals, values and circumstances that determine the strategies I develop on their behalf.My practice revolves around three S’s: stability, simplicity and stewardship. My goal is to provide stability, by seeking to preserve my client’s wealth, but also offer a reasonable return overtime. Simplicity is achieved by using traditional investments and avoiding complex products which may carry higher risk. Stewardship comes from treating clients as if they were a part of my family, and not just another account. Keith grew up in Ft. Myers, Florida, where his father worked as an engineer at a NASA tracking station. After high school, Keith attended the University of Maryland and received a Bachelor of Science degree in Business Administration. Prior to becoming a Financial Advisor in 1996, Keith spent 16 years as a Senior Pension Consultant, designing, installing and managing retirement plans for corporate clients throughout the United States. During this time he realized that his passion was working with individuals and providing each one with a road map for retirement success. In 1989, Keith obtained the "Certified Financial Planner™" or "CFP®" designation from the College for Financial Planning in Denver, CO., and soon thereafter obtained the "Chartered Financial Consultant®" and "Chartered Life Underwriter®" designations from the American College in Bryn Mawr, PA.
As a Financial Advisor and Senior Portfolio Manager, Keith is able to provide holistic financial planning advice as well as investment management which is customized to each individual's specific goals and objectives. 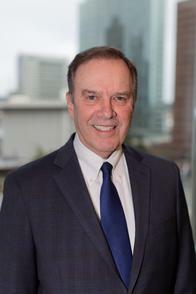 Keith is a member of the East King County Estate Planning Council and the Financial Planning Association (FPA). Keith is also a Legacy Advisor for Seattle Children's Hospital and Research Foundation, as well as a member of the Seattle Philanthropic Advisors Network. When he is not working, he enjoys spending time with his family. He also enjoys, tennis, hiking, jazz music and playing the drums. My clients value my ability to establish a trusting relationship on both a financial and personal level. This provides a sense of comfort in knowing that I truly care and treat them as more than just a name and account number. Due to the high level of trust and personal care, I typically work with clients with a minimum account size of $500,000. My step-by-step process was developed over the past 20 years in the financial services industry, and provides a disciplined approach that strives to give clients a clear direction to help achieve financial independence. SECOND- I choose an asset allocation which is designed for the maximum amount of return with the minimal amount of risk for your objectives. THIRD- I will create a financial plan which will give the degree of success in reaching your desired goals. FOURTH- I strive to choose the most appropriate investments to use in your portfolio and rebalance each year. FIFTH- I monitor your accounts and provide accountability to you on a regular basis determined in advance.